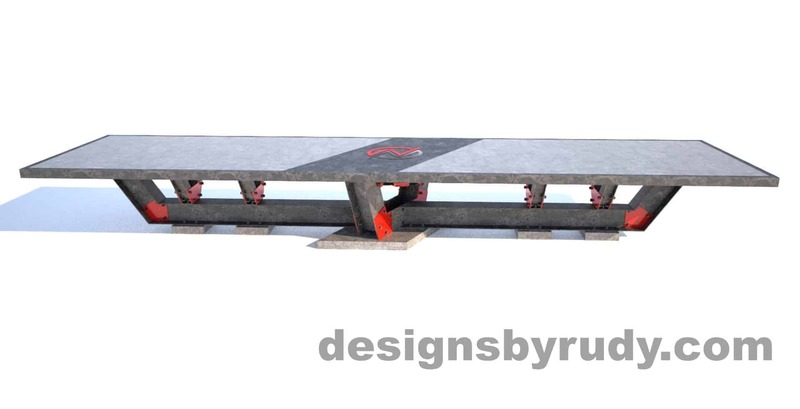 Designing every single one of my custom steel and concrete conference tables is always very exciting. 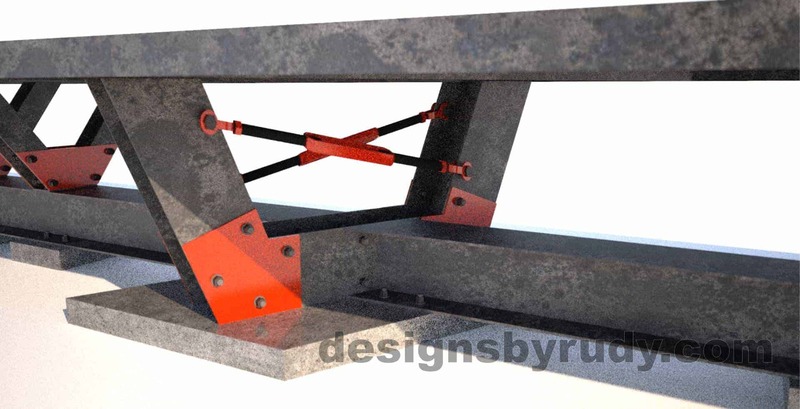 Each project brings new challenges but rewards with a fully assembled piece of gorgeousness… yeah, I’m selfishly proud of my designs, in a good way I hope! 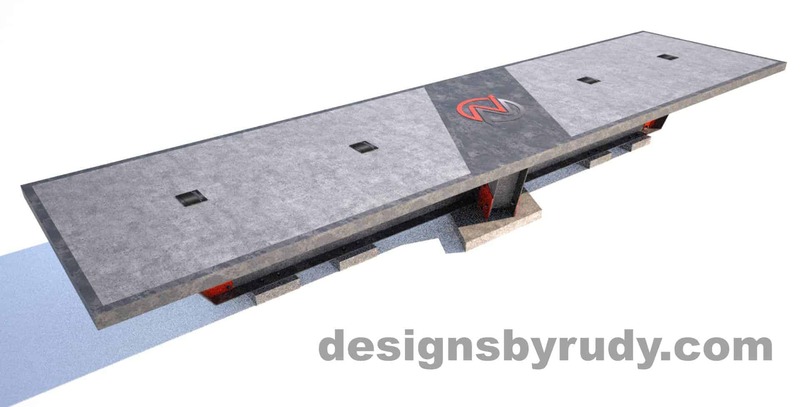 I designed and currently fabricating this 20′ long by 5′ wide “monster” concrete conference table for Northbank Civil & Marine in Vancouver, WA. 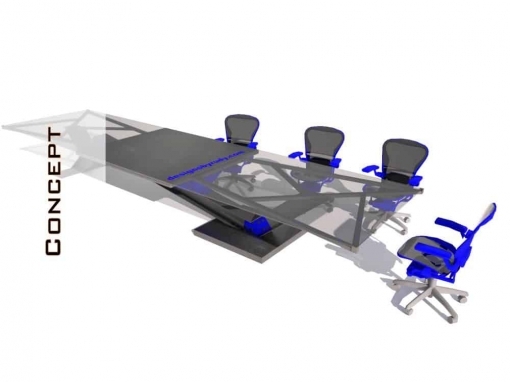 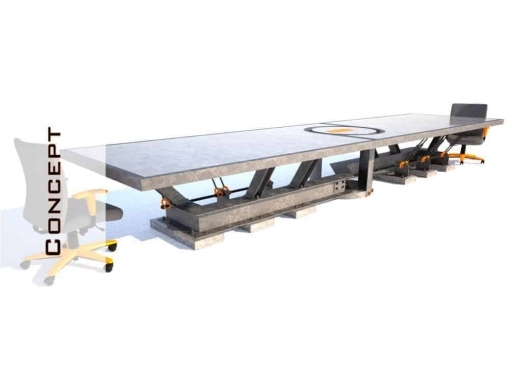 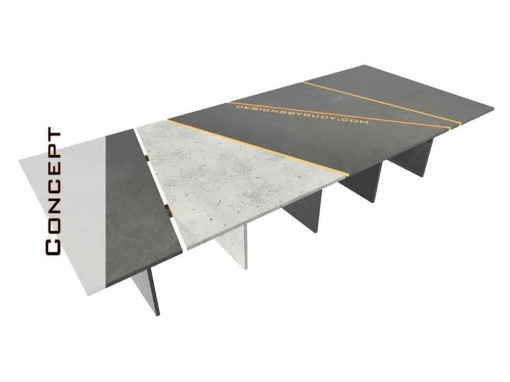 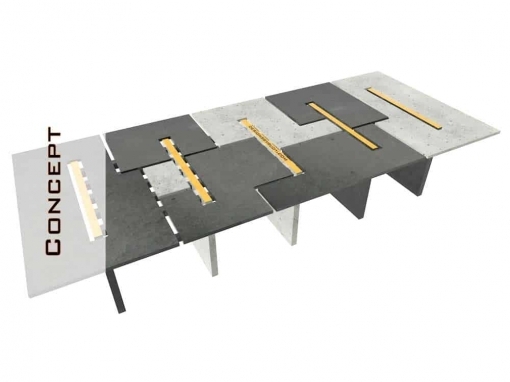 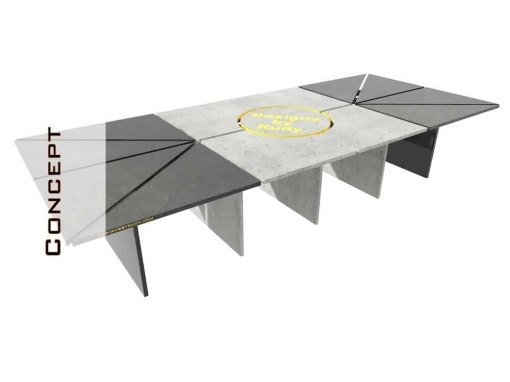 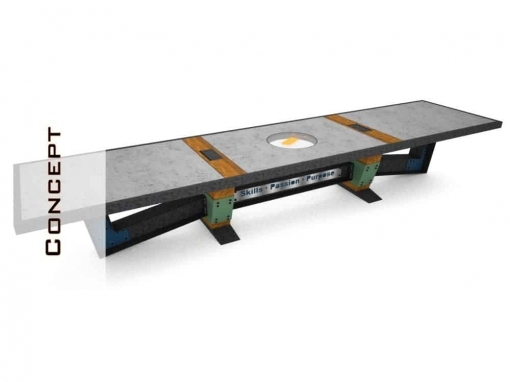 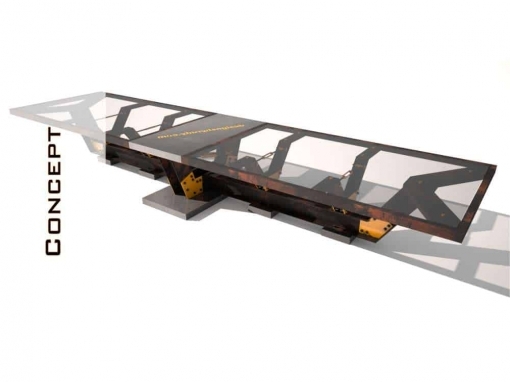 The table evolved from a little more complex design you can find here – Concept Concrete Conference Table Design. 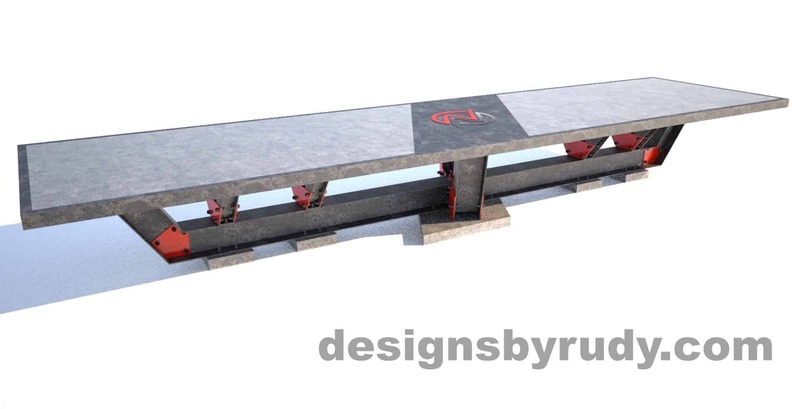 Let me know if you’d like to have one customized and build for your company. 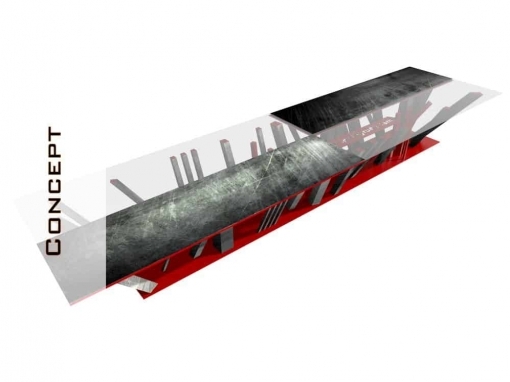 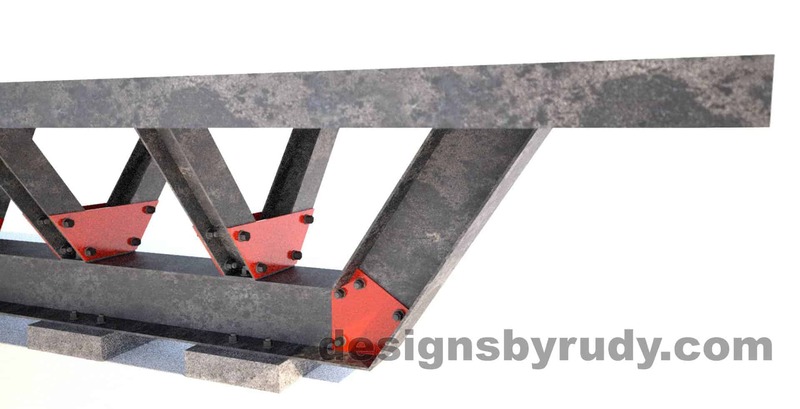 The final design has a base assembled from 8″x8″ and 4″x4″ wide flange beams, sitting on five 3″ thick concrete blocks, supporting 20’x5′ concrete top nested in a 3″ tall steel frame. 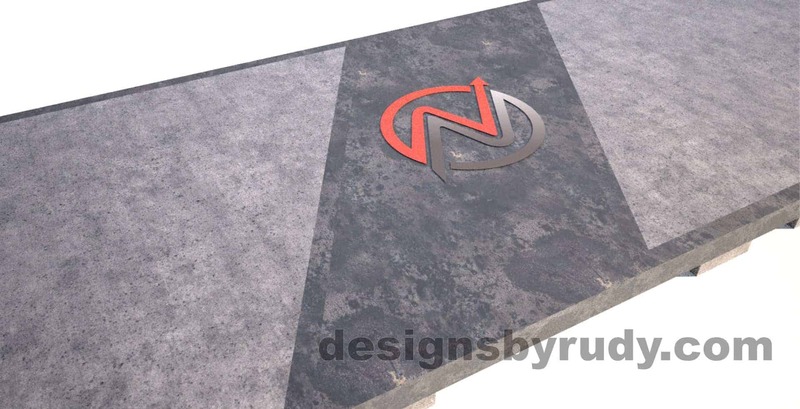 Table’s top middle section contains steel plate with a laser cut company logo. 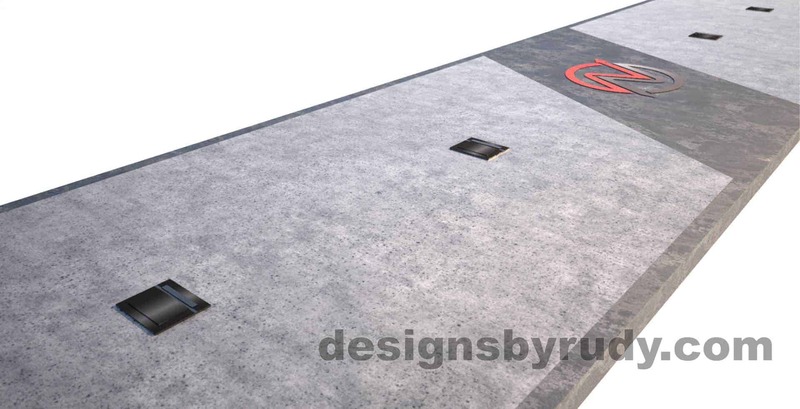 There are also 4 media boxes embedded into the concrete top sections, they contain variety of power and AV ports. 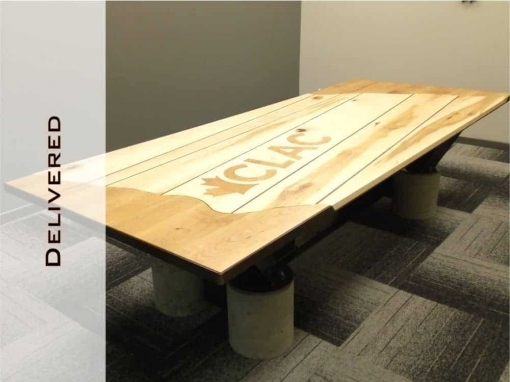 Would you’d like to make a statement with a unique piece of furniture custom designed and handcrafted for your business or home? 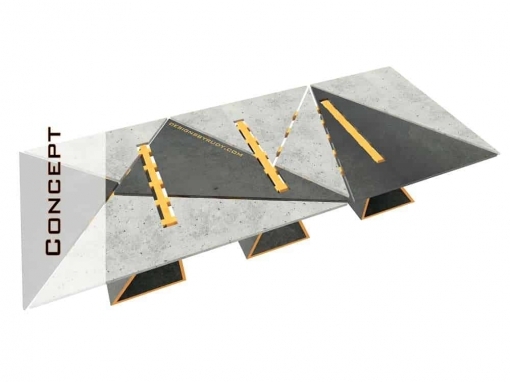 Let me now. 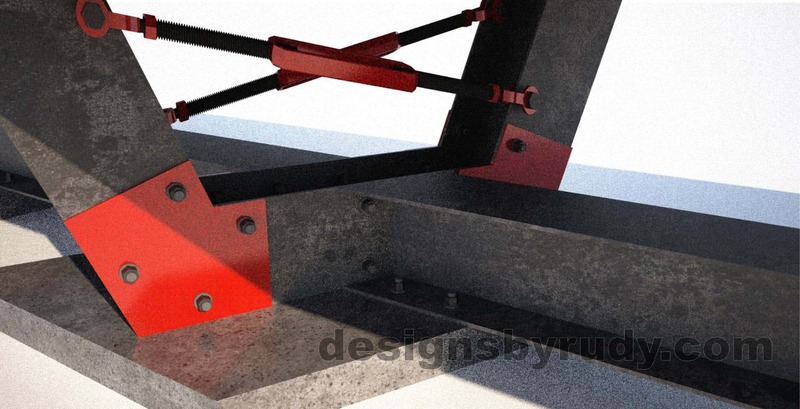 Click any of the renderings below to expand. 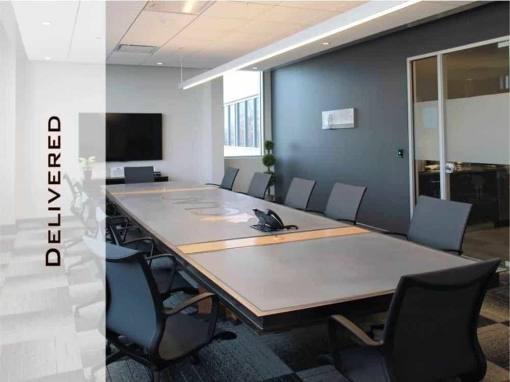 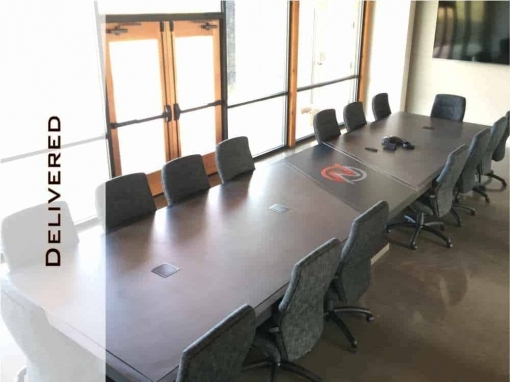 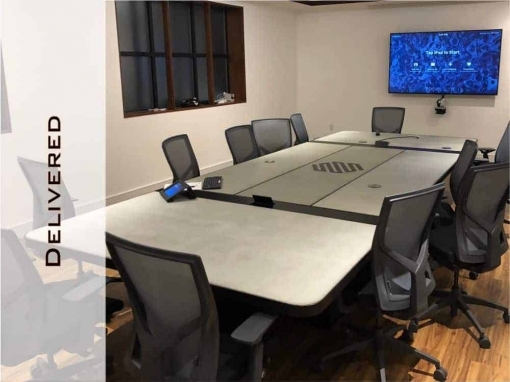 Looking for a custom boardroom table? 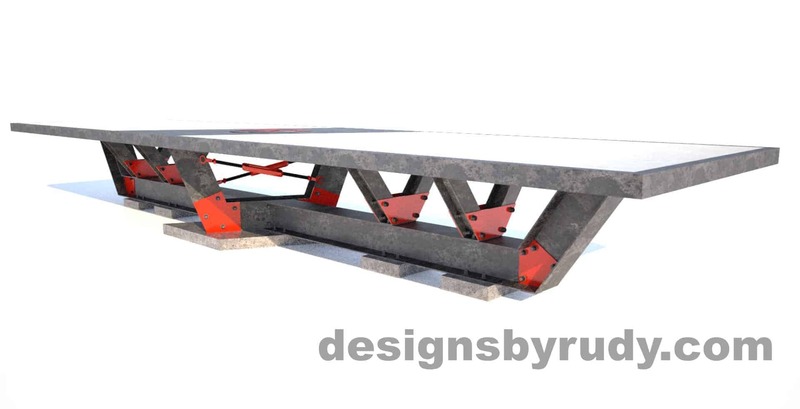 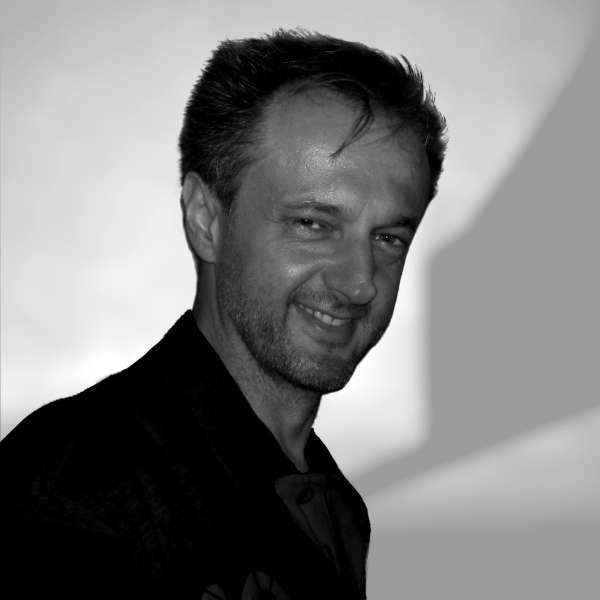 Please contact me if you'd like to have a unique table designed and build to fit your particular environment. 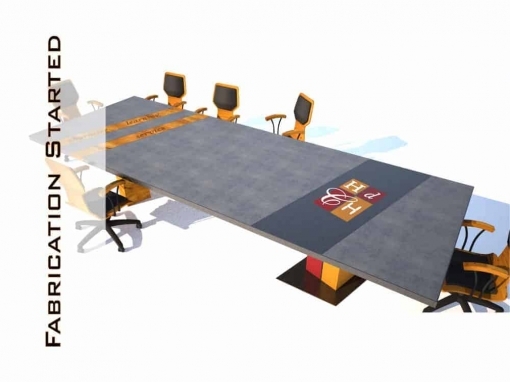 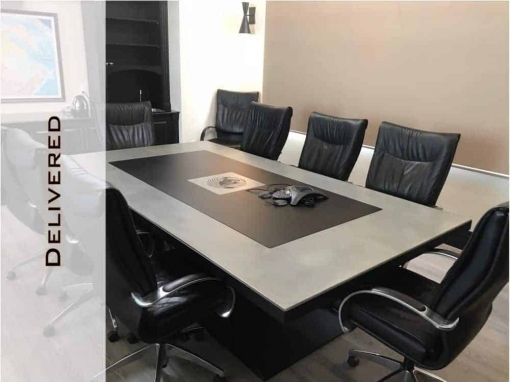 Whether you need a conference room table, office desk, or maybe your dinning room table, if you like my table designs, I'm sure I can create and build one for you. 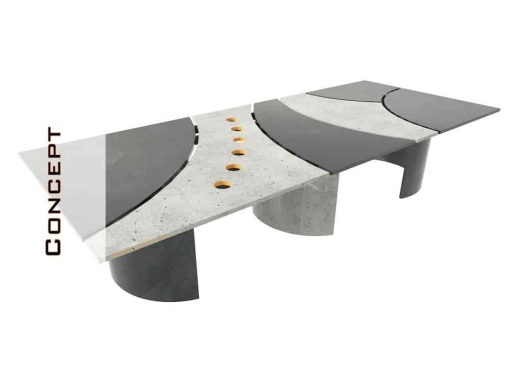 If you'd like to have a unique piece of concrete furniture designed, describe it in as much detail as possible.